We had our engagement pictures done with Philly Event Group and they came out fantastic! Bob and Photographer Yoshi Lee are great guys to work with and we are looking forward to the wedding pics! DJ Bob did an excellent job with sound, lighting and Emcee-ing our wedding reception! He was easily approachable throughout the whole planning process and completely accommodated of all our music requests. He has a smooth and unassuming style that was enjoyed by our guests in all age groups and there was not a dull moment on the dance floor!! Our guests loved our photo booth with Samantha & Jason and we loved our lovely book of photo messages that they compiled for us at the end of the night. All in all we would 100% recommend this company for any future events! Bob at Philly Event Group did so much for us! We had a low budget and he was able to set us up with a great DJ, Michelle, a perfect cocktail hour band, Dear Creek, strings of market lighting and additional lights, all at a cost we could afford. He even ran over to the venue to measure the space for me in the middle of one of our phone conversations. Bob was super flexible and understanding. I don’t know how we could have pulled off our amazing reception without him! My fiancée and I planned our wedding on a budget, so we shopped around and ended up talking to a handful of DJ companies. I spoke with DJ Bob Mills on the phone and he seemed knowledgeable and energetic…AND he agreed to meet us at our home for our initial consultation. His price was right, and he laid out the musical plan for the evening and coached us along as our wedding date drew near. The day of the event, DJ Bob was more than we could have asked for. He brought equipment for the ceremony and a separate set-up for the reception PLUS uplighting! He played what we wanted and didn’t play what we didn’t want. He kept the event moving smoothly and was even on the floor dancing! My wife and I gave our vendors pre-prepared tip envelopes at the end of the night. On our honeymoon, we discussed what a success the wedding had been. It dawned on us that DJ Bob had actually planned the evening with us and executed it to a tee! We couldn’t have done it without him, so we contacted him upon our return to tell him the rest of his tip was on its way. GREAT DJ!! DJ BOB MILLS is an awesome DJ. I would honestly and truthfully recommend him to every single couple out there willing to get married. I have told Bob to have any and every couple personally email me with any questions about Bob. I am willing to put myself out there because Bob is and was THAT GOOD at our wedding. He always responded to my annoying and repetitive emails. He showed up early on the day of and was set up in no time. And was great to talk to. What an awesome personality. Choose Bob and you absolutely will not be disappointed. He is a great DJ and would have paid him double if I had more money (ha ha). “The thing about weddings is if the music is bad the wedding is a flop.” Thankfully that didn’t happen to us! Well, if you hire DJ Bob Mills and the musicians he works with, you will have your friends and family calling you days later thanking you for inviting them to the best event they have ever been to! The best compliment we got was from the husband of the location’s Director, he said “I have been to many events here, but this was the most fun we have ever had”. What more can I say, it was beautiful and the music from the Guitarist, the Jazz Trio and DJ Bob Mills, everything was just Perfect. His coordination of all the music and moving us from one event to another so smoothly was terrific. Bob Mills was very accommodating and pleasant to work with. He gives you autonomy, but also offers suggestions to help cater to and please all your guests. DJ Bob has a lot of energy and a good attitude. The lighting was soft, ambient and matched my colors perfectly. The harpist Cynthia and violinist Audrey made my ceremony elegant and were very accommodating with weather changes and helping to give me my dream wedding. DJ Bob was great. He did a fabulous job at our wedding and was flexible with the structure and the music he was willing to play. The String Quartet was excellent and beautiful on the day of. They understood what we wanted and managed to do what we asked. The Videographer was awesome and very helpful in general. He worked extremely well with our photographer and was pleasant to be around. DJ Bob is also one of Philly Event Groups band leaders and has performed on stages world-wide with international stars such as Magic Slim & the Tear Drops, Billy Branch, Kenny Neal, Sister Blue and many more. With a keen ear for all music genre’s and a blend of deep social and corporate experience, let DJ Bob help make your event the complete success it should be. DJ Bob – I can’t thank you and Philly Event Group enough for what you did on Monday at the 100 year Anniversary Party for the Girl Scouts of New Jersey. I can’t imagine what the event would have been like without you. You added so much energy and really kept people engaged and excited throughout the evening. Loved your lighting set up. Not too flashy, but just enough to create some atmosphere. Especially liked that light box you put in front of your table. And, Bob – what a great auctioneer you are! I am sure your efforts brought in hundreds of extra dollars for the Girl Scouts. You have a great way of begging people to pay more and they feel good about it! I wish I could have more of that talent! DJ Bob, Thank you for making the bachelorette party and wedding day celebrations fun and memorable. It was a pleasure working with you. “The wedding was amazing and DJ Bob is my guy! The music was just what I wanted and the dance floor was packed the entire time. DJ Bob was easy to work with and the up lighting he provided really helped set the moods of the various rooms. DJ Bob really took the time to work with my fiancé and I before the wedding and he and his company Philly Event Group delivered way beyond what we had expected. My husband and I were introduced to Philly Event Group through a friend. We were looking for a reasonably priced DJ for our wedding that was also someone we could trust. Philly Event Group set us up with DJ Bob and we could not have been happier. Bob was there for all of our needs every step of the way. We spoke numerous times before our wedding to make sure that he had everything in line and ready to go. He handled last minute (day of) changes with such professionalism and grace. Our wedding guests have a very large range of tastes and he managed to accommodate everyone! He even managed to keep our large group on schedule and running smoothly (which was no easy task)! Bob was extremely professional, honest and fun! We would recommend him and his DJing skills to everyone! Thank you! 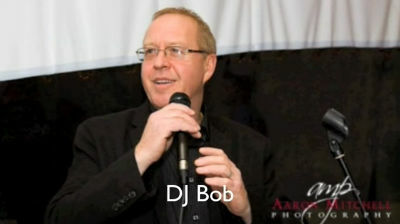 We used the services of DJ Bob through Philly Event Group and were very pleased with everything. The dance floor was packed and DJ Bob did a great job as our Master of Ceremonies. The level of preparation DJ Bob did with me and my family was outstanding and he always took the time to listen to what we envisioned our reception to be. We would recommend DJ Bob and Philly Event Group to anyone wanting their reception to be a perfect and fun event! Thank you to Philly Event Group for your generous support of the 2011 MANNA Volunteer Appreciation Party. DJ Bob ensured that it was a fun and lively evening and a good time was had by all! We appreciate all that you did foe MANNA. Thanks again! We had Philly Event Group handle our wedding! We were NOT disappointed in that decision. There are a lot of companies out there promising to do good/great work, but DJ Bob is the greatest!!! He went over and above the call of duty! He was so organized and knew exactly what was needed!! The ceremony music was beautiful, he was very helpful in getting the girls and guys all situated in where they were supposed to be and what they were supposed to be doing. The reception was absolutely fabulous! The music choices were so “us”! He even gets out there and dances and keeps the crowd lively. I rec’d so many compliments on the music choices and variety played! I would recommend Philly Event Group to everyone! They know what they are doing!! Thank you again for a great wedding….see you SOON! The grandchildren really enjoyed the reception. DJ Bob had the dance floor was filled with the guests. The wedding was wonderful, all had a good time and we all were pleased with the outcome. After the summer party, one employee stopped me and said: “I hope we get that DJ Bob back again! He played something for everyone there!” We all appreciated the set list you put together for our “Stroll the Boardwalk” summer party. You brought good-time summer fun music from many decades – as well as actual beach sounds! – and helped create a lively atmosphere. Parents and kids alike loved the limbo contest you organized too. Thanks, Philly Event Group. Hope we can do it again! The music was fantastic and both DJ Johnny and DJ Bob did a wonderful job at our wedding. We were so happy that we selected Philly Event Group for our DJ services. The customer service from the company was outstanding and everything was just perfect! “When hired to provide a Corporate Team Builder, we chose the DJ and MC services of Philly Event Group to conduct a unique spin on a highly interactive Survivor TV show themed group event for 150 guests. The music from Philly Event Group’s DJ Chuck set the mood for a great event. The MC hosting of Philly Event Group’s Bob Mills, playing the role of Jeff Probst engaged the audience and we were able to provide the corporate client with the WOW factor that they were looking for. It was a true team effort and a successful event!